Half of wealthy women and a third of affluent men are likely to buy themselves presents this holiday season, according to a new survey. When it comes to gifts, it's not the thought that counts. At least, not in America's wealthiest households. Two-thirds of affluent American women want gift cards. But less than a fifth of men will give it to them, according to a report from American Express Publishing and the Harrison Group out Thursday. Instead, 70% of women are gifted clothing or jewelry. A survey of 625 households that represent the top 10% of the nation's wage earners found a wide gap between what people want and what they will actually get. Men should also lower their expectations. They want food and alcohol -- a third hope to get gourmet foods and fine wine, and another third want gift cards. But women like to give none of those -- 30% are expected to give clothing, and another 15% books. 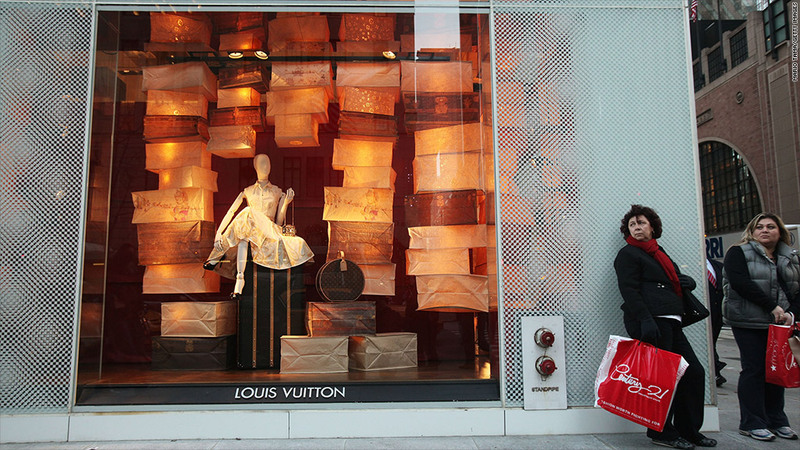 What wealthy shoppers are better suited for, is giving gifts to themselves. Nearly half of women said they were extremely, or very likely, to buy themselves presents this holiday season. A third of men have similar intentions. "Perhaps America is giving itself a bonus this year," said Jim Taylor, vice chairman of Harrison Group, in a statement. Holiday retail sales are expected to increase 4.1% this year, according to estimates from the National Retail Federation. That's the most optimistic forecast from the group since the recession.